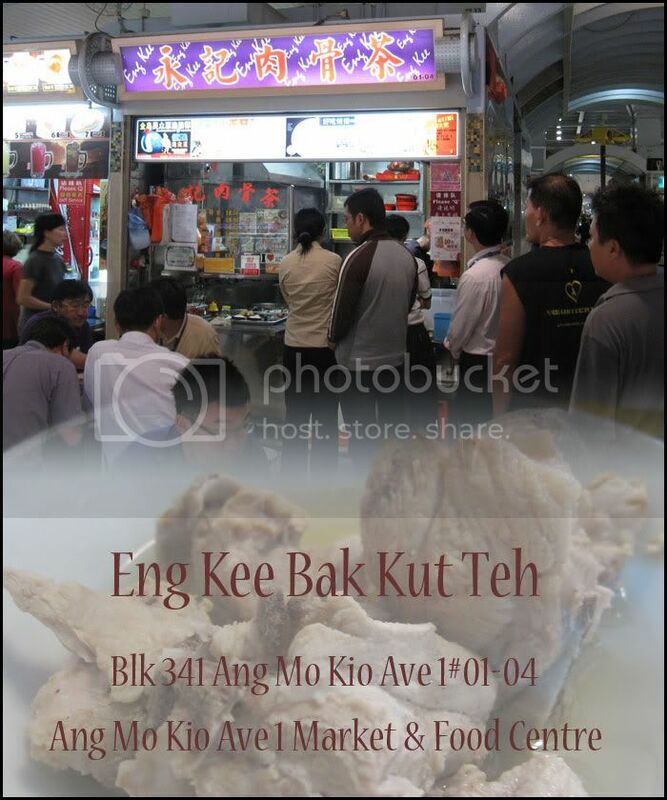 First is Ng Ah Sio ... now is Eng Kee which is so near home yet we only tried it recently. This stall was brought to my attention by egging kaki Tere long time ago. It is only when the BDR ( Bishan Dog Run ) reopens recently that we decided to check out what's happening over the other side of the bridge. It's not difficult to notice the long long Q snaking all the way to the walkway ... that's Eng Kee ! The system goes .. queue ... order ... sit and wait for food to be served. 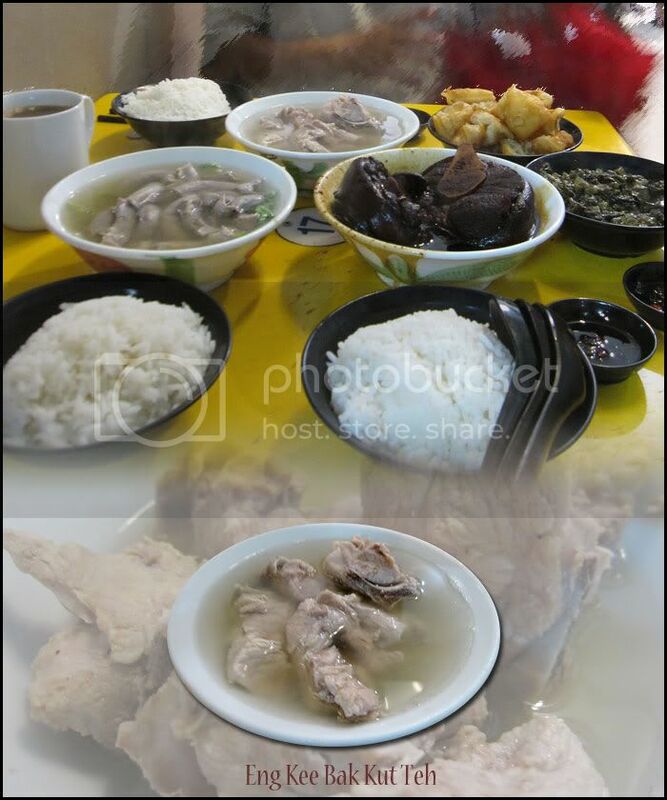 Ordered the usual dishes of bak kut teh, salted veggies and "twirly tubby", a must have for me. 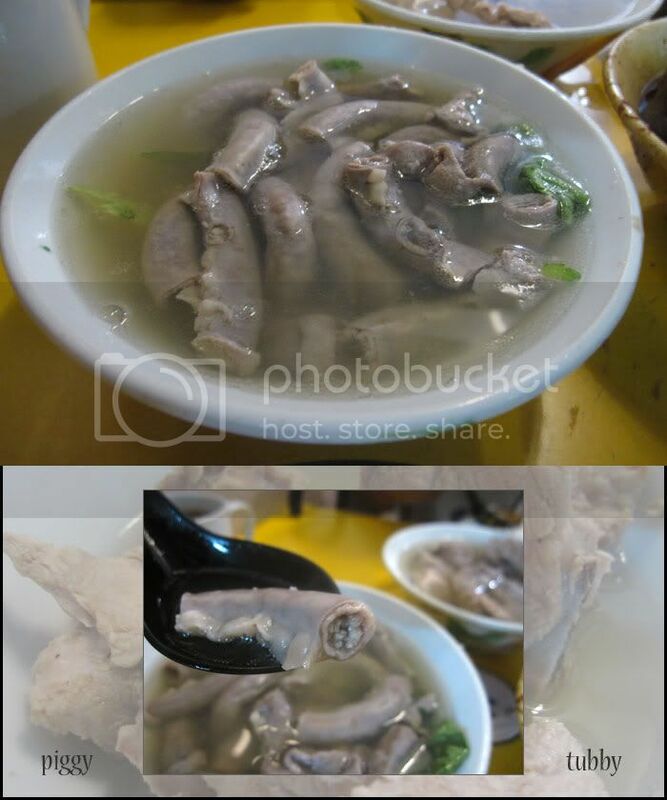 It taste other wise ... the meat is soft and tender, the skin is gelatin-like and evenly flavored. The gravy is extremely dark and although it should be salty, has a slightly sweet edge to it and goes very well with rice ... yum ! Going at $5 a bowl ... it seems this dark trotter is more popular than the bak kut teh. But the intestines were fabulously delicious in those soup ~ best combination. This stall is definitely going into our favorite food list !